Imagine if the Israeli prime minister hired a former PLO fighter as his personal pilot; or if the president of the United States allowed a Russian to be his personal chauffeur at the height of the Cold War. Sounds surreal? Yet that is precisely what happened in Nigeria several decades ago when then head of state General Gowon hired an Igbo air force officer who formerly fought for Biafra as one of his presidential pilots. 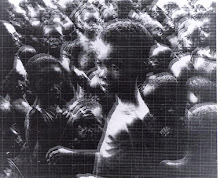 Friday January 15, 2010 marked the 40th anniversary of the end of the Nigerian civil war. *On that day in Dodan Barracks, a brutal 920-day civil war ended as former colleagues and combatants who had engaged each other in bitter warfare for over two and a half years embraced each other with unprecedented warmth. 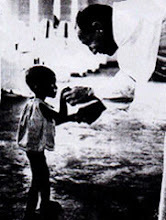 They ended a war wracked by famine, and characterized by starving children, one million corpses, and violence and suffering of such an intensely grotesque magnitude that the words "pogrom" and "kwashiorkor" were added to the standard Nigerian vocabulary. 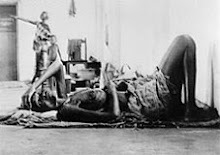 When the war ended, the Igbos grimly expected that their defeat would be followed by their wholesale massacre. However the leader of the victorious army refused to proclaim victory, declared a general amnesty for all those who fought against him, invited members of the defeated side to join his administration. He refused to conduct trials of, or execute the defeated, and refused to award medals to his own soldiers who had fought the war. He even allowed some members of the enemy's army to join his own army. For their part, Igbos quietly accepted their fate in a united Nigeria, went back to their farms and businesses, and rebuilt their destroyed homes without any thoughts of sabotage or guerilla warfare. All this happened without a United Nations resolution or peacekeeping force, international peace plans and conferences, or the protracted negotiations that it normally takes to resolve modern conflicts. Nigerians decided for themselves that they had seen enough bloodshed and that they wanted a war free future for their children. The former combatants now live, work, and intermarry with each other as if the war never happened. Yet the civil war literature rarely discusses this most remarkable and impressive aspect of the war - the humanity with which Nigerians and Biafrans forgave each other, laid down their arms and got on with their lives. The war also ironically dissolved some of the negative stereotypes the combatants held about each other, and enhanced their mutual respect. The Igbos won admiration from the federal side for the tenacity, iron will, and the incredible improvisation with which they fought the war. The federal side won the Igbos' respect for their magnanimity in victory. Forty-two years after United Nations resolutions called for them to cease hostilities, the Israelis and Arabs are still at each other's throats. Fifteen years after the Rwandan civil war, war crimes trials are still ongoing. 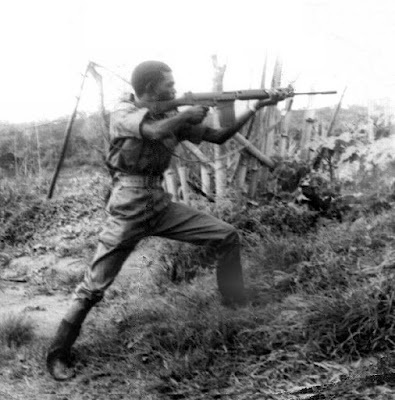 However, a remarkably sober pragmatism rose from the blood, fire and ashes of the Nigerian civil war. It taught the combatants an unforgettable lesson in the evils of ethnic rivalry. The bitter memory of the war means that Nigeria stumbles through and survives the sorts of crises that cause war and disintegration in other countries. For example: presidential elections that take 8 years to organise then are retrospectively voided after the votes are counted, Sharia, military coups, ethnic violence, resource control, and a president who goes AWOL for nearly three months. When an election was annulled in Algeria in 1991, it plunged the country into a decade long civil war in which up to 200,000 people died and terrorism linked to the event was exported to France. When an election was annulled in Nigeria two years later, the winner of the election said he abhorred violence and urged the public to protest peacefully. 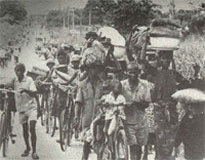 Although pockets of bitterness remain (particularly over the emotional issue of properties abandoned by Igbos who fled for their safety, but which were illegally appropriated by other communities), Nigeria's remarkable reconciliation is rivaled in the modern era only by black South Africans' forgiveness of their former oppressors. "We also guarantee the right of every Nigerian to reside and work wherever he chooses in the Federation, as equal citizens of one united country. It is only right that we should all henceforth respect each other. We should all exercise civic restraint and use our freedom, taking into full account the legitimate right and needs of the other man. There is no question of second-class citizenship in Nigeria. "The nation will be proud of the fact that the ceremony today at Dodan Barracks of reunion under the banner of the Federal Republic of Nigeria was arranged and conducted by Nigerians amongst ourselves alone. No foreign good offices was involved. That is what we always prayed for. We always prayed that we should resolve our problems ourselves, free from foreign mentors and go-betweens however well intentioned. Thus, our nation has come of age, and the meaning of today's event must be enshrined in the nation's memory forever." "We must thank God for his mercies. We mourn the dead heroes. We thank God for sparing us to see this glorious dawn of national reconciliation.... We must use his guidance to do our duty to contribute our quota to the building of a great nation, founded on the concerted efforts of all its people and on justice and equality. A nation never to return to the fractious, sterile and selfish debates that led to the tragic conflict just ending. We have overcome a lot over the past four years. I have therefore every confidence that ours will become a great nation. So help us God." Long Live the Federal Republic of Nigeria." *The Military Governors of the 12 states: Ukpabi Asika, Audu Bako, David Bamigboye, Alfred Diete-Spiff, Jacob Esuene, Usman Faruk, Joseph Gomwalk, Mobolaji Johnson, Abba Kyari, Samuel Ogbemudia, Oluwole Rotimi, Musa Usman.